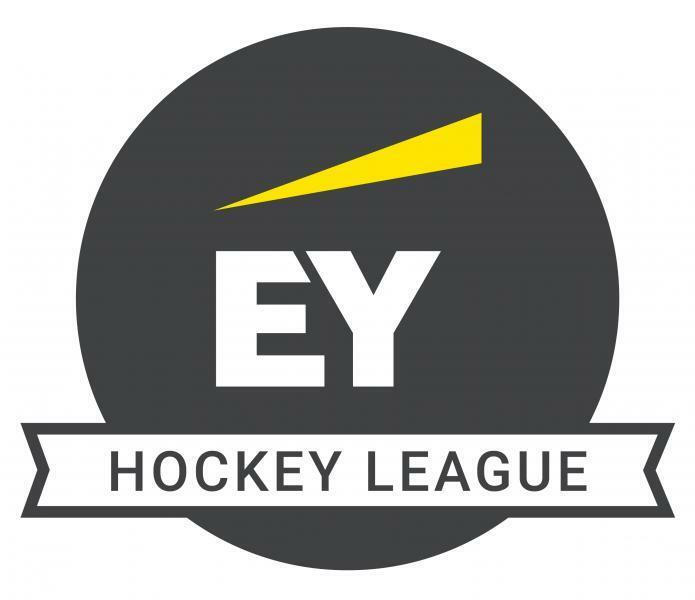 YMCA created a piece of club history as they landed their first win of the EY Hockey League, picking off a strong 4-1 win over Cookstown, importantly jumping off the bottom of the table.It was a fine comeback from an opening day 7-1 defeat to the same opposition with the third period proving critical.Grant Glutz and Greg Allen shared the spoils in the first half but YM took control after half-time when Ben Campbell scored twice either side of a Ross Henderson goal for a 4-1 lead they never relinquished.It lifted them above Cookstown on goal difference as well as Cork C of I who lost 5-0 to Glenanne. The Glens’ win was enough to see them move top of the table as they ran riot in the second half after just Cedric Jakobi’s goal separated the teams at the interval.They moved above Banbridge on goal difference after the Co Down side drew 1-1 at Three Rock Rovers. Jamie Wright got a sublime touch to David Rae’s slap to put Bann 1-0 up but Rovers levelled before half-time via Mark English.Huge saves from Bruce McCandless and Luke Roleston in the third quarter ensured a share of the spoils.Lisnagarvey were the big movers as they recorded two 3-2 wins over Dublin opposition, seeing off Pembroke on Saturday and Monkstown on Sunday.Both times, Andy Williamson started the scoring. On Saturday, Troy Chambers added to his opening goal before Stephen Sweetnam halved the lead in the second half. But a Daniel Nelson goal put Garvey clear, rendering Keith O’Hare’s corner goal a consolation.A day later, they held off Monkstown. Williamson got the only goal of the first half before Mark McNellis and Matthew Nelson stretched the lead to 3-0. Guy Sarratt and Davy Carson reduced the gap in the last 10 minutes.Monkstown had swept aside Annadale in the second half of their Saturday tie, Sarratt and Andy Ward both getting two goals each with Ross Quirke closing out a 5-0 win. Glenanne returned to the top of the men’s EYHL with a strong win over Cork C of I, a side they have usually had troubles from in recent times. In a low key first quarter, Alex Burns had C of I’s best chance while a Glenanne corner saw the injection go off course.The Glens went in front from a corner won by Jason Rogan with Cedric Jakobi scoring down the glove side. The German’s next effort was well saved by Billy Lynch before C of I had a couple of good chances toward the end of the half with Jonny Bruton and Philip Brownlow central to things. The hosts, though, stepped up a gear in the second half and extended their lead when Jakobi switched a corner to Shannon Boucher to drag home. Bruton went close to getting one back with Iain Walker saving brilliantly but Glenanne were soon out of sight when the Shaw brothers exchanged passes with Richie ending up sweeping over Lynch. Neil Byrne reacted quickest to score the fourth when other stalled, waiting for a free for a foot. Joe Brennan then completed the win from the penalty spot. Three Rock Rovers and Banbridge shared the spoils at Grange Road in a lively tussle between two of the league’s top teams. Both goalkeepers shone in a lively opening in front of a good crowd while Josh Moffett’s corner running charged down a couple of Luke Madeley drags.The deadlock was broken when David Rae produced a beautiful jink to evade a tackle and then slammed a powerful ball into the circle which Jamie Wright got the perfect touch to, lifting over Jamie Carr in the Rovers’ goal. Rovers equalised quickly when Jody Hosking stole the ball wide on the left, creating a three-on-one. He slipped to Mark English who flicked over Luke Roleston at close quarters – 1-1 at half-time. The tempo cranked up in the second half with Carr saving Peter Brown’s rising shot with his shoulder before Bruce McCandless produced one of the stops of the season. Rovers eliminated the goalkeeper to leave Ross Canning with a clear chance – he smashed full throttle at goal from eight yards but McCandless stopped it in what he later described as “operation eyes shut”. Roleston made a brilliant stop with the inside of his boot to deny Ben Walker as Rovers looked well in control. Drew Carlisle blocked Harry Morris’s reverse over but Bann fought had the best chance to win it in the endgame after David Kane served a yellow card sin-binning. Eugene Magee, though, did not fully catch his drag-flick and Madeley cleared off the line. He was delighted to get Philip Brown back into action after a lengthy injury delay while 15-year-old Eddie Rowe also showed up well. Niall Denham: “It’s a big step up since getting back outdoors. We probably left a few goals out there and were a little bit soft in the middle which would get us more outcomes in the final third. “We still have 30 points to play which would get us up to 43 and hopefully get us in the shake-up. It’s been very busy with an awful lot of miles in the legs. It was better today; Wednesday we looked very fatigued against Pembroke so we will have a light week [of training] ahead of us. Pembroke 2 (S Sweetnam, K O’Hare) Lisnagarvey 3 (A Williamson, T Chambers, D Nelson)Lisnagarvey closed the gap to Pembroke in third place with a 3-2 away win at Serpentine Avenue. Andrew Williamson put the Ulster side in front 23 minutes into the tie and were in a commanding position at half-time when Troy Chambers finished off at penalty corner time.Pembroke got back into the game nine minutes into the second half when Stephen Sweetnam scored from play but they were two behind once again with 10 minutes left when Daniel Nelson got on the board. Pembroke replied quickly via Keith O’Hare’s penalty corner strike but they could not summon another famous comeback. The results saw Garvey move up to 16 points on Saturday evening, two behind Pembroke with a game in hand. Annadale 0 Monkstown 5 (G Sarratt 2, A Ward 2, R Quirke)Monkstown overcame a sluggish first half to run up a big win over Annadale, moving level with the Ulster side on 12 points with a game in hand overnight on Saturday.The first half was very even between the sides but the first goal proved crucial as Dale had their chances but fell behind to Guy Sarratt’s drag-flick with the big break closing in. In the third quarter, Town made a break for it with Andrew Ward scoring twice from play either side of Sarratt’s second goal as confidence and momentum grew. Ross Quirke completed the scoring in the closing quarter. Sunday: Lisnagarvey 3 (A Williamson, M McNellis, M Nelson) Monkstown 2 (G Sarratt, D Carson)Lisnagarvey recorded their second 3-2 win of the weekend to move into third place in the table, jumping above Pembroke in the table. Andy Williamson was the lead off scorer for the second week running when he netted a penalty corner in the first half.They were well on top in the first half, winning five corners, while Town struggled but they improved markedly in the second half to be well in the tie. But two goals in quick succession in the 56th and 58th minute from Mark McNellis and Matthew Nelson soon took the game away from the Dubliners. Guy Sarratt pulled one back from a penalty corner – his third of the weekend – with Davy Carson getting another on the board with time running out. EYHL Division 2 round-upCorinthian became the first side to make it through to the last four of EYHL Division 2 as they produced an excellent second quarter performance to beat Kilkeel.The Mourne men did take a fourth minute lead when David Finlay was on the mark but Ian Stewart replied with his 28th goal of the season in all competitions for 1-1 at the end of the first quarter. Quickfire goals from Josh Greaney, Johnny Roberts and Davy Howard, though, soon developed a 4-1 lead. Eddie Agnew got one back with two minutes to go but the reds already had what they needed to go through. Instonians will likely follow them following a 4-0 win over UCC away from home with goals from Ben Palmer, Mikie Watt, William Robinson and Stephen Kelso. They need just a losing bonus point from either of their two remaining games in the group to go through. Pool A is much tighter with four points covering the top three sides. Bandon got their first win of the group to close the gap significantly, seeing off Bangor 3-1. Ali Smith put them on the board from a penalty corner rebound in the first quarter. Both Clinton and Ivor Sweetnam followed up in the second period to build a 3-0 half-time lead and while the prolific Chris Barnes got one back for Bangor in the third stage the hosts defended well for a big result. In Dublin, UCD fought back from 2-0 down to draw with Railway Union in the group for the second time, maintaining their place at the head of the table. Michael McKenzie and Andrew Colton’s corner goal gave the Railway men a 2-0 lead at the early mini-break. Peter Lynch got one back before half-time and he levelled it up in the second half with his second of the day and 2-2 was how it remained in an end-to-end final quarter. It leaves UCD on 12 points, Railway on 10 and Bandon on eight. Bandon face both of their rivals in the closing two rounds of the competition.